According to Merriam-Webster dictionary the definition for the word partner is: A person with whom you share an intimate relationship with, one member of a couple. In this definition for me the key word is intimate which is also defined as: To communicate delicately and indirectly. We all want relationships where we have someone to share communication delicately and indirectly with and when you find that, that is the person with whom you call your soul mate. Jasmine Deveraux is a beautiful woman both inside and out. Jasmine has the ability to turn heads wherever she goes because of her outer beauty, but to know her heart will make you stop in your tracks. Jasmine followed her heart and married her high school sweetheart and life was grand, or so she thought. She thought that Eric was her true love but what she didn’t know at the time and Eric didn’t realize is that her heart belonged to someone else ~ her writing. Will Jasmine be able to share herself with the two or will one of them fall by the wayside? Darius Hamilton comes from a rough past, his father was killed when he was young and that left him open to easy influences. Darius’s cousin Chris was who he gravitated towards and the streets were his life that is until the streets took Chris away from Darius. With a second major loss in Darius’s life, Darius did the only thing that he could to keep himself from going insane ~ he fell deep into his poetry and short stories. Writing being such a release for Darius, his words so beautiful and he himself being a very handsome man it is easy to see how a woman could fall in love with. The question is – who is it that they really love, Darius or his words? The Write Lover is a love story for the times but it is not mushy or sappy like typical romantic novels. This story encompasses in these two individuals lives and shows us what it is like to live through pain and hurt and to let it use you to make something so beautiful as a result. This story flows and keeps you so engrossed in their stories, their lives, that you will not want to put it down. When you get to the end, the only thing you want to do is pick it back up and start over because you have enjoyed the experience that much. I enjoy the writings of Brooklen Borne and I look forward to reading much more from him in the future. Congratulations Brooklen Borne for making me cry, something others have tried but never succeeded in. 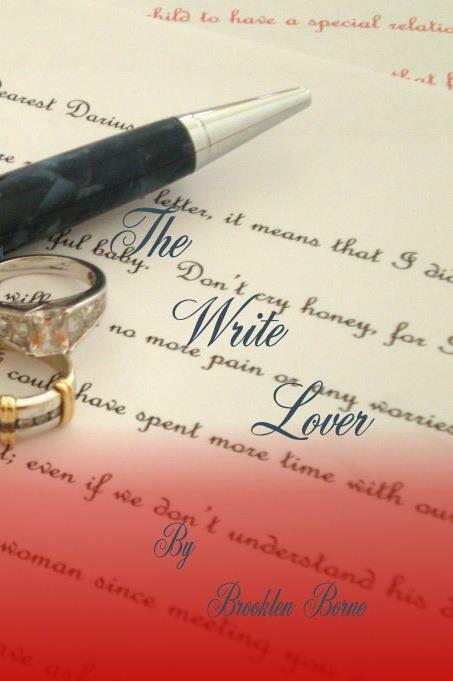 The Write Lover can be purchased through Amazon.com in paperback and Kindle. Life is full of lessons this we already know, the key is if you have learned from the lessons brought before you. If not, then you are wasting space and everybody else’s time. Some lessons and going to be learned whether you want to learn them or not, hopefully you survive the lesson. Diana is a beautiful woman but there is only two things that are stopping her from having the man of her dreams: one she is married to someone else and two he is emotional unavailable for her. When she is finally fed up enough with this cat and mouse game she goes over to his house to confront him. As a result of this confrontation, he has to reflect on how he has gotten to this point and what he is going to do about his current situation. He cares for Diana but not the way that she wants or needs him to and this is where the problem lies. How does he make her understand when he is a man of so few verbal words? Will she listen while he tries to explain or is she beyond this point? Will Diana’s love for him make him love her that way that SHE wants him to or is she wasting her time? Only time will tell but time is truly running out for the both of them. Glass Goddesses, Concrete Walls is a very interesting story in the fact that the author never mentions the name of the main character. It is written in first person with the main character being named by the author as “the unnamed protagonist.” The fact that we don’t know his name it doesn’t take away from the story but it is an interesting concept that I have not come across before. By the main character not being named it does not make you feel any distance from him actually it is the total opposite, you feel closer to him because you can see yourself in his shoes and this could very well be YOUR story. 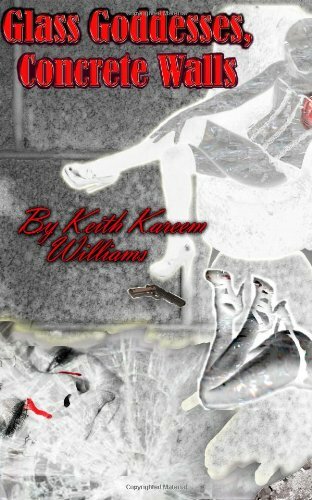 I enjoyed reading Glass Goddesses, Concrete Walls because the story just flowed. As you bounce between that past and the present you can see why the main character has become the man that he is. Great job keep up the great work, I look forward to reading more from Williams in the future. Glass Goddesses, Concrete Walls can be purchased on Amazon.com on paperback or Kindle editions. Family is supposed to love you, protect you and keep you safe from harm. What do you do when you your family is the ones that are torturing you, who do you run to then? Tonya Arlington is a beautiful girl both inside and out. She never gives her parents any problems but trouble and problems seem to always find her. Tonya has nothing but love for her father, after all what girl doesn’t love her father at 7 years old? When her father tells her that he needs her to help him because of her love for him she agrees, but little did she know that this was the beginning of a life of disappointment and hurt at the hands of her father. As Tonya grows older the abuse continues and becomes ten fold when she is now also being abused by her uncle. Determined to live a normal life as a teenager Tonya does the only thing that she could do, she reaches out to her best friend Alex. Alex being the consummate friend she helps Tonya escape from her reality, but is that enough? Through a series of life changing events, Tonya rebuilds faith in people and relationships only to be disappointed time and time again. Will life ever get any better for Tonya or is she destined to be a victim forever? This Game Called Life is a book about the worst form of child abuse, which is sexual assault. It is a reality for so many children and is not talked about enough, but it also shows that you can recover and continue with your life in a positive manner. Norfleet has taken us on a journey that some might not want to go on, the book is detailed with the abuse but it is well written and gives a strong story that will have you talking to the characters and ready to fight alongside them. I appreciate that she was able to write this story in such a way that would not have us putting the book down because we couldn’t handle the content. Great story, great writing, I look forward to reading more and more from Norfleet in the future. 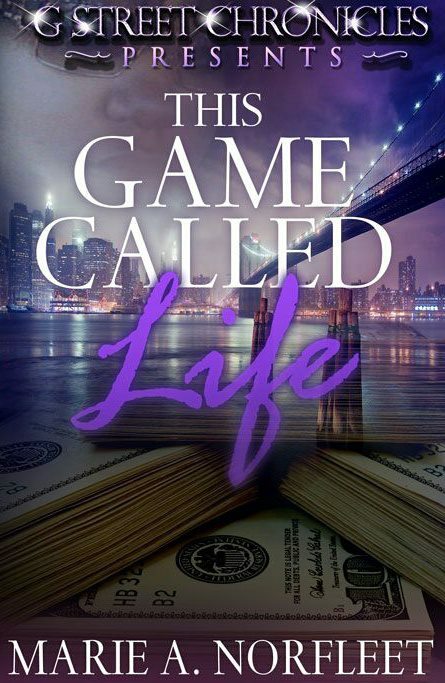 This Game Called Life is available for purchase through Amazon.com (paperback and Kindle), BN.com (paperback and Nook) and the publisher’s website: http://www.gstreetchronicles.com/. Loyalty is something everyone should possess, it is a character trait that should be displayed by family and those that you consider friends. When you find someone who is loyal to you and your cause, you keep them near. David and Jerry are identical twins from Haiti who loves their country but aspire to be better. The only way that they can see having better is to leave for the United States. In order to get to the States, they need money and that is where all of their problems begin. Deciding to go around robbing people to get money, they pick the wrong person to steal from and that has severe repercussions. Once David and Jerry make it to the States to live with their aunt and cousin they try to take on the role of normal teenagers. Since they are not known it is easy for them to blend in, but there is always money to be made and they know just how to make it. Hooking up with some more Haitians, they build the prime crime organization. Everyone knows as you climb to the top someday you are going to meet some people who you stepped on to get there and when you meet again, it will not be pretty. 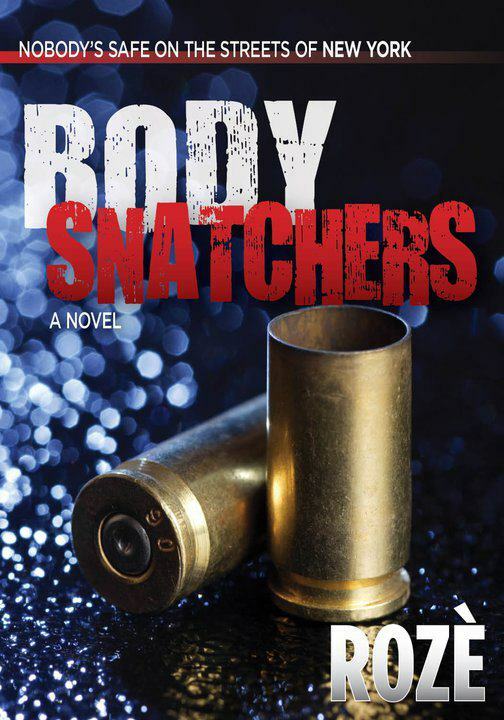 Body Snatchers is a tale of life in Haiti and how strong the loyalty to her is. This book is intense because of the violent content but that is what makes you continue to read it. The characters flow well together and the story line is strong and consistent. I enjoyed this book and I look forward to reading more from Roze’ in the near future. According to Merriam-Webster dictionary the word obligation means: The action of obliging oneself to a course of action, as by a promise or vow. When you make a promise you should be willing to keep it or don’t make it, this is exactly what Peaches did vowed to keep her promise even if it kills her. Peaches Donnelly is a woman who likes to take care of people that she cares about. She is very dedicated to her job, her family and her friends and when she sees an injustice done it doesn’t sit well with her. Childhood friend Lenny Richards is murdered and Peaches is distraught about his death, when Lenny’s mother asks if Peaches can look into his murder she just can’t say no. Peaches doesn’t know what she can do to help after all she is just an Administrative Manager but she does feel a strange sense of obligation to Lenny and his mother to see what she can find out. Peaches has no formal training in being any type of investigator besides being a woman and we all know that women are naturally nosy, but she feels like she might be able to help a little bit. Little does Peaches know that Lenny is not leading the life that she remembers from high school and this might turn into being more than she can handle. Peaches and The Gambler is an exciting read with the typical dramas that go along with a who-done-it. There is always going to be some sort of family drama, relationship drama, life or death drama but it is a good refreshing read that will keep you interested in finding out who done it right along with Peaches. This is my first time reading Hicks, but I look forward to reading more from her in the future. 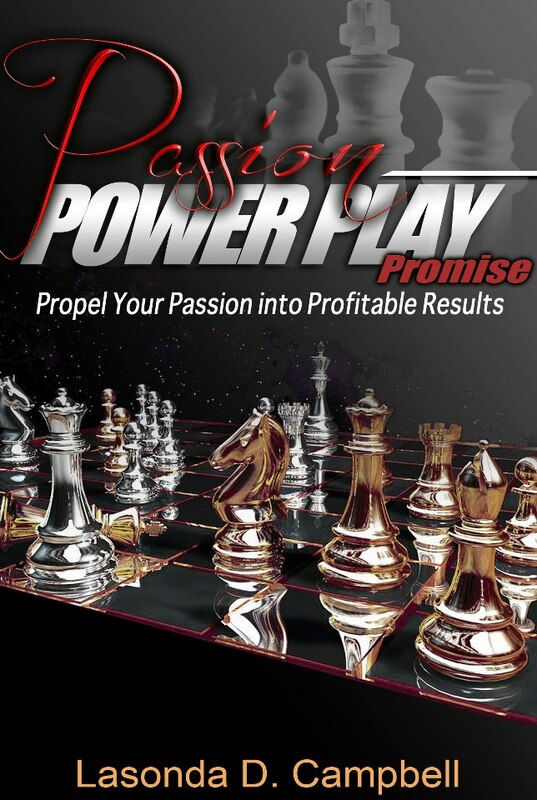 Peaches and The Gambler is available for purchase through Amazon.com (paperback and Kindle) and BN.com (Nook only).